1967 Vehicle Overhaul Service Manual, covering Corvette along with camaro and chevelle. Covers all aspects of overhaul (rebuild) of the vehicles driveline. Engine, Gearbox, Tailshaft, Differential are the main components, but any item fitted to the vehicle which is prone to wear, is covered in this overhaul manual, for example, brake master cylinders. 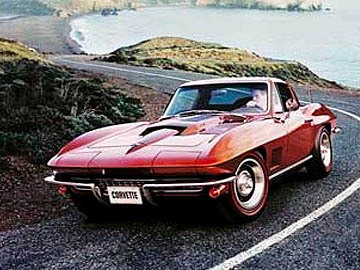 1967 Chassis Service Manual, covering Corvette along with camaro and chevelle. The term Chassis service manual often is used to describe manuals without details on the driveline, this manual is however not like this, and covers all aspects of the vehicle, including engine, gearbox and rear differential. A complete service manual for every component in the car, does not however include rebuild / overhaul information for the driveline, this is covered in a secondary manual known as an "overhaul" manual.